From Issue 4 – you can buy it here! The original sport of Hawaiian kings, He’e Nalu or surfing, remains at the helm and is definitely the most popular board sport today out there in the waves. 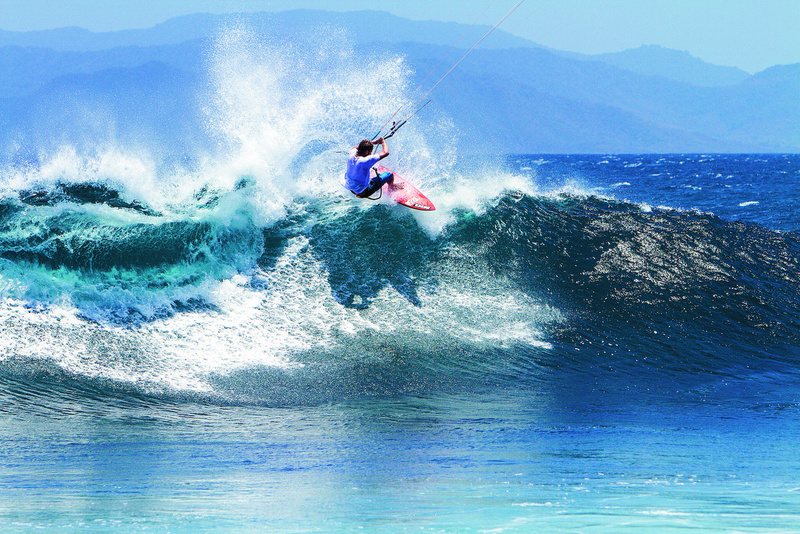 However, there are plenty of other sports, including kitesurfing, drawing the attention of many water-sport enthusiasts. From bodysurfing to stand up paddle boarding, pleasure seekers all seeking the thrill of riding waves. We are all out there together. With summer time comes the crowds and that means a greater chance of something going wrong. Keeping it cool and fair out there in the waves is extremely important. Amongst surfers this has always been achieved by learning the unwritten laws of sharing and riding waves together known as surf etiquette. 1. Don’t drop in! If someone is on the wave already or on the inside paddling for the wave don’t take off, this is the ultimate burn and worthy of being told … F#$& OFF… or so you get the picture. 2. The surfer riding the wave has the right of way, a good idea to stay out of the way or you may just get run over, at your own fault. 3. Wait your turn in the line-up, nobody likes a snake, surfers have a line-up, which means you take turns in catching waves. How do these rules affect you as a kitesurfer? 1. Keep a safe distance from all beach goers on the beach when setting up, launching and landing. Your kite should be at least 50 metres from anyone that is down wind or inside of your wind window. Better still, set up down wind of beach goers to avoid any possible mishap. 2. When entering the water have your kite at neutral or zenith (12 o’clock) this will ensure that you don’t put your kite into another kiter’s lines already on the water. If it is a crowded location wait for a break and when other kiters are on a seaward tack, heading back out to sea. 3. A kite surfer riding a wave has right of way over other kite surfers. This is plain and simple just like the surfing rule #2 mentioned earlier. This may require a change in direction of tack or to stop if you are not the kiter riding the wave. 4. Stay 50 metres away from all other water users, surfers, paddle boarders, swimmers and even other kitesurfers. This is possibly the most important rule to remember. Kitesurfers are very intimidating for other water users. Particularly if you don’t have the skills, if you cut close to swimmers and surfers in the waves, you are breaking maritime and marine safety rules, expect a hefty law suit if you hit someone. The flagged swimming zone actually requires that kitesurfers are 200 metres from the flag area. Again, set up down wind of a flagged area. If you’re on a down winder, make sure you take out behind the last break by at least 50 metres. 5. If you are up wind when riding around other kitesurfers keep your kite high. If you are down wind keep your kite low. 6. Always ride with a safety release system attached to your kite. You may consider using a leg rope if you are kitesurfing in a popular area, especially if you are riding unstrapped. Be safe out there and have fun, that’s why we do it and keep ripping up those waves. This is not an absolute instruction for all locations, rather some sound advice from an experienced kitesurfer hoping to keep our sport permitted on our beaches. If you rock up somewhere new, talk to the locals or visit the local shop in that area for the lowdown on local rules and regulations. If you have not had lessons take them from a professional instructor. Check out our business card page for some professional contacts around Australia.